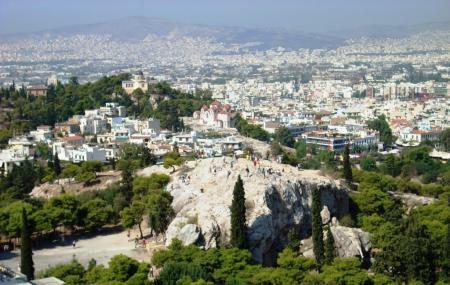 The landscape of Athens is filled with attractions that speak up of Greek mythology and legends. One of the points in Philopappos hill, this hill of the nymphs is 103 meter high and offers picturesque views of the city and the surroundings. This hill is supposed to have been dedicated to nymphs, the Greek deities associated with a particular location. What makes this hill quite interesting to climb is that it houses an observatory financed to be built by Baron Sinas. At the time of its construction, it was the first observatory of Athens and was named as Asteroskopeion. It was designed by the Danish architect Theophil Hansen who shaped it as a neoclassical domed structure with a cross-shaped floor plan. Lot of climbing is required. How popular is Hill Of The Nymphs? People normally club together G.B. Spa At Hotel Grande Bretagne and Adventure Room while planning their visit to Hill Of The Nymphs. People also prefer to start their day with Hill Of The Nymphs.